Members of the team, from left, Elizabeth Graham, Ethan Veitch, Max Thompson, Adam Jones. Other team members who are not pictured were Polly Allonby, Laurie Cottrell and Katie Teodorzcuk. Collingwood Tennis Club’s nines and under team won the Aegon Northeast League after a hard fought win over Cullercoats thirds. Ethan Veitch won three matches on the day to go unbeaten throughout the season, and then partnered Elizaeth Grahm to a good doubles win as No.1 pair. Max Thompson also won all his three matches on the day and partnered Adam Jones to win the No.2 doubles. 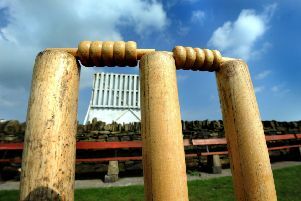 Collingwood topped the league after wins over Cullercoats seconds and thirds, David Lloyd, Gosforth and Beverly Park.